Post Earthquake Christchurch has changed forever and it’s not all bad. When we move our gaze from the city centre and the red zones of the east, there are also parts of the city that are sound and subject to vitality and renewal already. This is happening where it is perhaps not as easy to recognise, or to deal with architecturally. The dead centre exclusion zone has been displaced and is already revitalising a series of dispersed suburban centres – in particular – in the semi-industrial areas of Riccarton. Riccarton is perhaps the most radical example of this condition. The suburb has become a site for displaced commercial and residential communities to regroup. How can this unassuming suburban centre with its established big box mall, loosely structured infrastructure, segregated uses, wide roads, sprawling low density housing, failing commercial shopping strip and industrial areas – which has suddenly found itself on the edge of a disaster zone – benefit and contribute in response to a sudden influx of economic and residential activity? In doing so, might it provide some direction for other suburban centres in New Zealand that are looking to facilitate development of meaningful, vibrant and sustainable communities? Within the broader pattern identified above, the focus is on the provision of new mixed use housing. This project looks at Cross Programming to address the potential of intensifying and diversifying the existing (sub)urban network. ‘Civic’, ‘Cultural’ and ‘Residential’ amenities set up the 3 programmes. 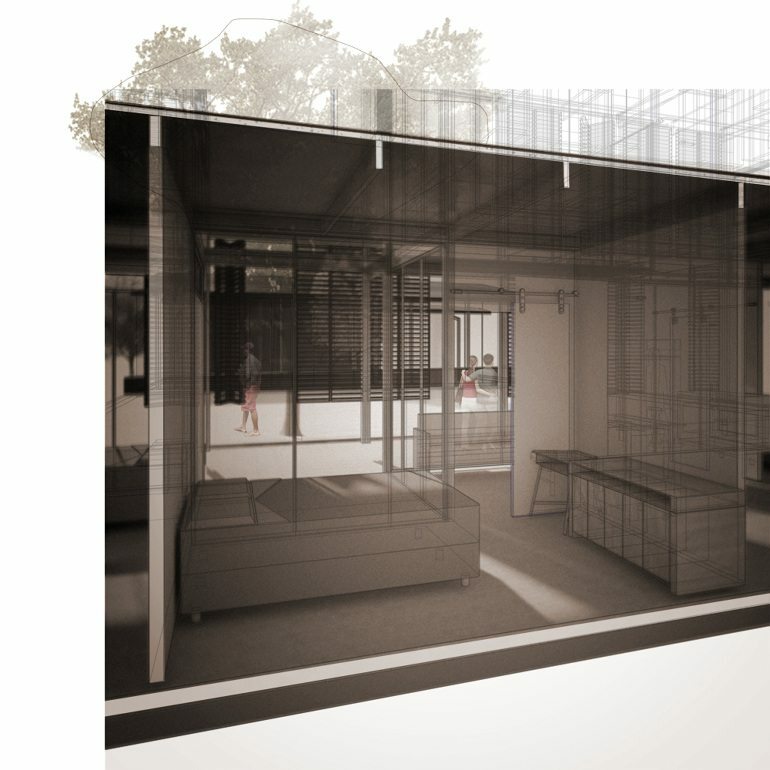 Residentially there is provision for 50 dwellings, targeted at students and young professionals. 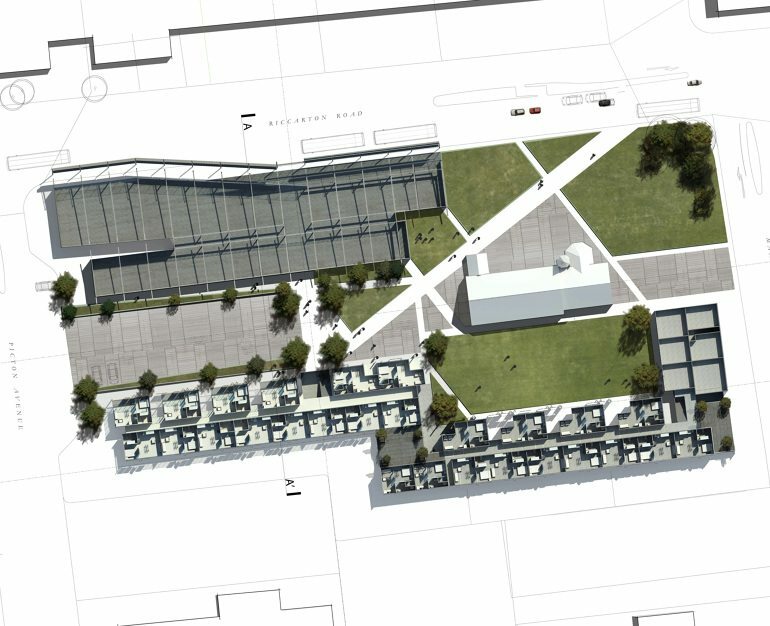 The Civic component consists of a new Riccarton Library and associated community facilities. The Library forms a strong street edge along a busy transport arterial. It provides a civic anchor and a public transport node at the gateway to the retail strip of Riccarton Road. The Cultural component is the restoration of the existing Riccarton St James’ Anglican Church. 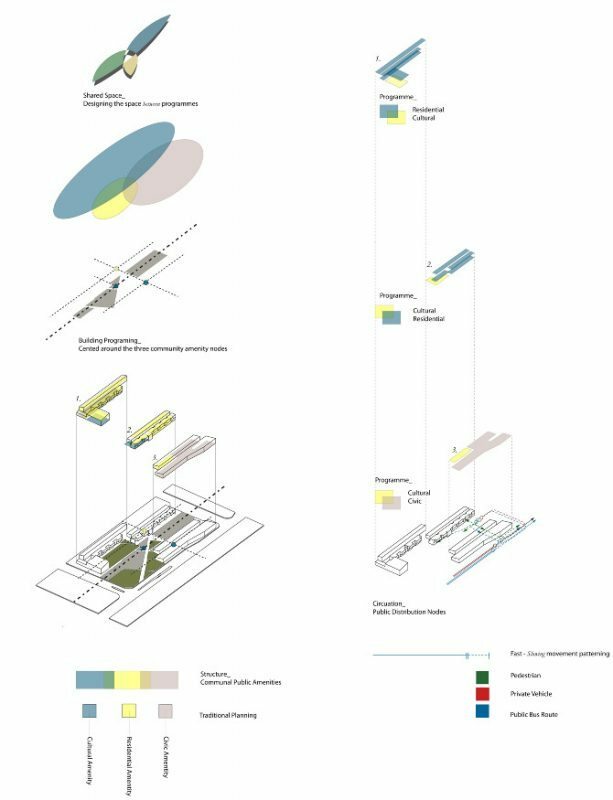 The proposal is inspired by the retention of a valuable existing structure and imagines an alignment of the site to best respond to more progressive ideals of sustainability, community and quality public space.